Home » What You Can Do? Learn What YOU Can Do about invasive species. Provides information about general volunteer opportunities and other ways that the average citizen can help to prevent and control invasive species. You can help by learning what invasive species are in your area and what is being done about them. The best way to fight invasive species to prevent them from occurring! 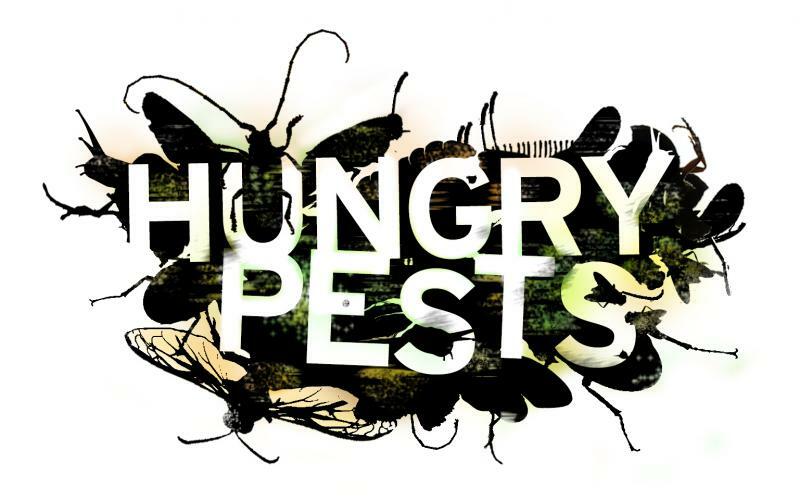 Learn more about What You Can Do and How They Spread to help stop them from USDA's Animal and Plant Health Inspection Service Hungry Pests outreach campaign. Volunteer for organized efforts to remove invasive species from natural areas. Help educate others about the threat of invasive species. Participate in National Invasive Species Awareness Week activities to raise awareness and identify solutions to local issues. See Volunteer.gov to find volunteer positions and events for citizens interested in volunteer service benefitting our Nation’s resources. Check out our U.S. Resources to learn more about invasive species by location. See our Species Profiles to learn more about invasive species. Locate the Extension specialist near you to help identify possible invasive species or for local control information. See Cooperative Extension sites in the Land-Grant University Website Directory. Use smartphone applications to assist in tracking and monitoring invasive species. If individuals are aware of the potential smuggling of prohibited exotic fruits, vegetables, or meat products into or through the USA, they can help USDA. APHIS by contacting the confidential Antismuggling Hotline number at 800-877-3835 or SITC.Mail@aphis.usda.gov, See Smuggling Interdiction and Trade Compliance (SITC) Program. Don't "pack a pest" when traveling. Fruits, vegetables, plants and animals can carry pests. See travel guidelines for more information. And, see Travelers bringing food into the U.S. for personal use. Declare all agricultural items (including food) to customs officials when returning from international travel. PlayCleanGo -- Clean hiking boots, waders, boats and trailers, off-road vehicles, and other pathways of spread to stop hitchhiking invasive species. Don't Move Firewood -- Purchase your firewood locally to avoid the spread of invasive infestations. To best protect trees, make sure all your firewood is sourced less than 50 miles from where it will be burned or is certified. Clean, Drain & Dry -- Help prevent the spread of aquatic invasive species while boating. Check with your State and Territorial Fish and Wildlife Offices for local information and regulations. To protect the landscape and game animals, hunters are asked to clean all mud, seeds and propagating plant parts from boots, vehicles and equipment before entering the backcountry so that invasive plants from their homes are not accidentally introduced to the backcountry. Everything should again be cleaned before leaving the backcountry. Your Move Gypsy Moth Free -- Protect your new neighborhood and surrounding natural areas before you move, inspect your outdoor household items for gypsy moth egg masses and remove them. Use certified "weed-free" forage and gravel, firewood, hay, mulch, and soil. Remove invasive plants from your land and plant native or non-invasive plants in your garden. Learn more -- I am a gardener: why should I care about invasive species and what can gardeners do to help prevent the spread of invasive species? For specific recommendations of native alternatives, see Special Collections section of the Native Plant Information Network to learn what native plants are recommended for various purposes and by location. Or, your local Native Plant Societies often your best source of information about plants native to your area. Before you purchase a pet, know what you're getting yourself into and never release pets to the wild -- make the right choice before you buy! If you have a domestic pet or exotic pet you no longer want, please contact your local animal shelter, which has connections to help place the animal with an appropriate home. Habitattitude -- Avoid dumping aquariums (including fish or plants) or live bait into waterways. Promotes and increases consumer awareness and responsible behaviors associated with aquarium and water garden hobbies. Don't Let it Loose -- Abandoned pets released into the wild can become a serious invasive species threat. Releasing a pet is not only cruel to the animal, which will most likely die, it could also lead to great ecological damage should that introduced species find a niche to successfully colonize. always be diligent concerning personal protective equipment. Note: Some States have restrictions on the use of certain pesticides. Check your State and local regulations. Also, because registrations of pesticides are under constant review by the U.S. Environmental Protection Agency, consult your county agricultural agent or State extension specialist to be sure intended use is still registered. Find your State Pesticide Regulatory Agency.